Q: What is your definition of “self-mastery”? DM: Self-mastery involves the recognition what we are not responsible for the thoughts that enter our mind and flow out, and the emotions that pass like the weather – and also what we are responsible for, which is our behavior. My view of self-mastery focuses on acting with kindness whether or not we’re in the mood, based on three principles: accept your emotions; know your purpose; then do what needs to be done-whether or not you happen to feel like it at the time. Q: And how would you define “enlightenment”? DM: Arbitrarily we can say that there are two realities. A transcendent reality and a conventional reality. For example, the idea that “we are all One” is certainly not true from a conventional viewpoint. If I stub my toe, it doesn’t hurt you. If I have a feeling or a thought, you may not have the same feeling or thought. So, conventionally speaking, we’re separate individuated beings, physically, emotionally and mentally. But transcendentally speaking, from the viewpoint of higher truth, we are each and all the same Awareness shining through all these different gift wrappings, these different eyes. At that level, we are One. Different truths operate at different levels-conventional truths and transcendental truths. Now if we’re talking about enlightenment, traditionally speaking, we refer to a transcendent Realization that has nothing to do with fixing one’s personality, making things work, succeeding, reaching goals, getting what we think we need or want to make ourselves happy, or even achieving self-mastery. Transcendental Enlightenment has been described in many different ways – seeing life from the bigger picture, from a viewpoint at the ends of the universe, through the eyes of God – as a sense of union, communion, unity, and freedom. But really it’s beyond words, which is why it’s been described in so many different ways. Lao Tsu said, “Those who know do not speak, and those who speak do not know,” because we can only point to it. I’ve had glimpses of that transcendent state. Q: You seem to be suggesting that while enlightenment is in one sense beyond this world, it also must be lived in this world in a very practical way. From that perspective, what do you see as the relationship between enlightenment and self-mastery? DM: The Indian saint Ramakrishna once said, “If you try to open a walnut when the shell is green, it’s almost impossible, but if you wait until the walnut is ripe, it opens with just a tap.” Life is our ripening process. I view the quest for self-mastery as a conventional ripening process – something we can learn, do, bring into the world. It occurs in the context of everyday life and involves our functional human capacities – our will – and leads toward our human potential. The quest for self-mastery provides our preparation or ripening. But self-mastery in itself has nothing to do with enlightenment; in a sense, nothing we do has to do with enlightenment! It is by definition a transcendent Realization that I believe that comes by grace. At some point, somebody or something or God working through somebody or something provides the tap when we are ripe. We can not achieve enlightenment by hard work, but we can prepare ourselves, set the foundation, pray, then wait. The rest is on God’s timetable. There’s a proverb that goes, “There’s God, then there’s not paying attention.” What I often mention in my seminars is something Rabbi Hillel once said: “There are three mysteries in this world: air to the birds, water to the fish, and humanity to itself.” Even now we are immersed in Spirit, whether we call it “God” or “beauty” or “inspiration.” After all, it’s not as if the weather person on the radio or television says, “Twenty percent chance of rain and forty percent Spirit out today.” Spirit, God, is always here but we don’t notice. We don’t commune with That because our attention is trapped by issues like, “How am I going to pay for the car repair, get to the appointment on time, deal with my relationships and emotional issues, my physical issues, my body?” And on and on. Self-mastery serves as a preparation for noticing God, for communion, for Self-Realization, by cleaning up unfinished business, by confronting and resolving those issues which monopolize or imprison our attention. As we function cleanly and clearly in the world, we liberate our attention to notice God or spirit or beauty. In this sense, self-mastery is our ripening process. Life isn’t a neat, orderly, step-by-step process toward enlightenment. Life doesn’t offer guarantees. So self-mastery doesn’t necessarily leads to enlightenment. But there are laws of reality I’ve learned from my athletic training, and one of those laws is that if you prepare well, you’re more likely to get desired outcomes than if you don’t prepare well. But ultimately, we are not in control. Michael Jordan cannot control whether he makes a basket every time. But he can control whether he takes a shot. That’s the best we can do in our own lives – to take the shot. Doing so will vastly increase the likelihood of making the basket over not taking the shot. But there is the other side of this issue, which is that we trying too hard may be counter-productive. Trying implies tension and attachment. Remember those five rules for living: First, show up; second, pay attention; third, live your truth; fourth, do your best, and fifth, don’t be attached to outcomes (which we can’t control). We all know that life involves work – that it can be difficult – a form of spiritual weightlifting. Life tests and teaches us, tempers our spirits. Difficulties are how we learn and grow, and we need to appreciate that. The concept of achieving self-mastery is less important to me than the effort, the quest. A man named Shoma Morita, M.D. once said, “Effort is success.” Maybe that’s why St. Augustine remarked, “Lord, I pray not for a lighter load but for stronger shoulders.” Everyday life can give us stronger shoulders. Q: Your new book is called Everyday Enlightenment. Is the “everyday enlightenment” that you’ve written about the same as or different from the ultimate spiritual realization described by the world’s wisdom traditions? DM: I would say they are different. The practice of enlightenment I give at the end of my book involves conventional enlightenment – enlightened behavior – self-mastery. Not the same as the ultimate Realization described in the spiritual traditions. However, I recommend this practice as a constructive way to spend one’s time, one’s life, while waiting for the Cosmic State. Some people hold to the idealist view that we should wait for “genuine enlightenment,” the transcendent Realization of God. That’s fine, but we may wait lifetimes for that and not pay a great deal of attention to what we’re doing in the meantime. When I refer to practicing “everyday enlightenment,” I’m speaking about actually consciously asking, “How would an enlightened being act in this moment?” – then behaving that way. Someone might ask , “You suggest that I pretend I’m enlightened?” I would respond, “Yes. Pretend–like a shy young boy pretending he’s confident and asking a young lady to dance–like a terrified soldier who pretends he’s courageous while saving a comrade under fire. By “pretending” – by behaving as if we were enlightened beings, we find our breath relaxing, our body relaxing and opening, our faces smiling – even though our internal reality might be bummed out about something. We might have depressed emotions and still smile at someone or do a kind deed, because that is what an enlightened being might do in that situation. Of course, we need to avoid acting out a caricature of “enlightenment” like the Kwai Chang Caine character on the Kung Fu TV series. It doesn’t mean we deny our reality or fool ourselves, nor is it a form of pretense. Saying “I am enlightened” doesn’t make one enlightened any more than saying “I am a pineapple” makes one a pineapple. Enlightenment doesn’t mean always acting blissful or talking in a certain way. That would not be realistic. Although “everyday enlightenment” is not the same as Enlightenment in the ultimate sense, it’s a good practice to adapt our bodies and minds, to prepare them, to make them more transparent, to become a servant in the world while we’re waiting for our insides to be filled with light. I think this provides a very meaningful practice-that we can, in any moment we remember, play the role of an enlightened being. Although it may sound presumptuous, I suggest that the “practice of enlightenment” as described in my book is the highest practice any human being can do, because it incorporates all other practices one might do. If you are meditating, for example, yoiu can say, “How would an enlightened being meditate?”-and meditate that way. It’s based on the fundamental presumption that we can control (and are responsible for) our behaviors. One question I ask people is: “Would you rather live with an enlightened being who acted crazy or a crazy person who acted enlightened?” I don’t offer an answer, but suggest that it is a very interesting question to consider. Q: One of the things we’ve observed in the course of our exploration for this issue is that individuals who have attained either self-mastery or enlightenment always seem to emanate an extraordinary degree of confidence, a sense of being unbound by limitation. In those who have “mastered themselves,” that confidence seems to arise from the discovery that they have the power to break through seeming limitations and do things they never imagined they could, the discovery of an overwhelming sense of “I Can.” Whereas in enlightened individuals, it seems to arise not from the discovery of their own personal power but from the deep, mysterious and life changing realization of their essential unity with the very ground and source of all existence that you alluded to before-a realization not of “I Can” but of “I Am.” What do you see as the difference between the confidence of the self-master and the confidence of the enlightened person? DM: Well, I would say that one kind of confidence is conditional and the other is unconditional. One type of self-confidence involves the smaller self; the other is confidence not in self but in Reality or God or Spirit working in, as, and through the “self.” Enlightened Self-Confidence is not based on a great self-image or confidence in one’s capacities, but in an ultimate trust in whatever happens, and a complete unconcern over whether one is liked, because one rests in the knowledge that one is loved. No, not that one is loved, but that one is Love. Most of us want to feel good about ourselves, want to feel self-esteem and self-confidence. In fact, most of our “search for enlightenment” is motivated by wanting to feel good in some ultimate sense. Q: How does this distinction between the realization of “I Can” and the realization of “I Am” accord with your own experience? DM: Having a sense of “I Can,” seems positive from a conventional viewpoint. I would say it’s preferable for us to say or feel “I can,” than “I can’t.” Henry Ford said, “Those who believe they can and those who believe they can’t are both right.” We’re more likely to attempt something we believe we can, or might be able to, accomplish. But “I Can” is not in the same ballpark as the profound faith based on the knowledge that our souls rest safe and secure in the arms of Spirit. I don’t necessarily choose to use the words, “I Am.” I don’t relate to “I Am-ness,” personally, because it has a level of abstraction about it. I can get my arms around “I Can.” To me, what matters about human life on every is what we do. There’s a lot of New Age talk about beingness. Teachers advise, “Don’t do. Just be.” While we live we are going to be, to exist. But we are also going to do, to move, to act. “What is this be? It sounds good, but what does it mean?” Everything that has been accomplished by human beings involves human doings. Still, I do acknowledge that the transcendent state of Enlightenment-the ultimate goal and endpoint of human evolution–doesn’t itself depend on our consciously doing anything. In that moment, there is only Being (even as all the doings continue). These ideas of being and doing relate to the two “solutions” to human life. The “Western Solution” to happiness is outward achievement. Many people have become disillusioned with this extroverted solution-they have seen that success didn’t make them or their parents happy-so they have become attracted to the “Eastern Solution” which involves going inside, meditating, doing internal spiritual practices. They aim for an internal kind of success so that one day, maybe in this lifetime or another lifetime, when they fix their insides, get centered, attain inner peace, they might achieve or earn the “state” of transcendental Enlightenment. Meanwhile, they may ignore their kids, let their functional life–their finances, relationships, or education, go down the toilet. So we’re waiting for that cosmic illumination, we might as well behave kindly and live as many enlightened moments as we can, even if we know it’s “pretending.” Why not fake it until we make it? While we’re aspiring, let’s do some perspiring-roll up our sleeves and become willing to play the most challenging of all roles in the theater of life-an enlightened man or woman. So the important questions to me are not “Am I in my beingness?” But rather, “Do I live well? Am I kind to other people? Do I occasionally pick up some litter on the street? You know, when I’m on the road, in another city or country, I can’t know how my words impact people–but when I leave a city, I can tell you this–it’s a little cleaner. Little things like that can make a big difference. Q: Another observation we’ve made about the attainment of self-mastery is that it seems to always include a movement from a negative, limited sense of self to a deeply positive sense of self. Traditional teachings of enlightenment, on the other hand, tell us that the ultimate human attainment is the discovery of “no self,” the realization that our true nature, who we really are, is beyond any notion of self, positive or negative, and that it is in fact the very idea that we exist as a separate individual at all that inhibits us from discovering true freedom. Do you agree that ultimately any fixed notion of self, including even one that is extremely positive, has to be given up if we are to become truly free? DM: Yes, except I’d change the words. Rather than suggesting that the self has to be “given up,” I’d say, “seen through.” To me, the best way to transcend the ego is not by somehow trying to get rid of it, but by applying both insight and humor. These are the two best spiritual tools to transcend the ego. I use my ego to learn, to teach and to serve. It’s just my personality level. 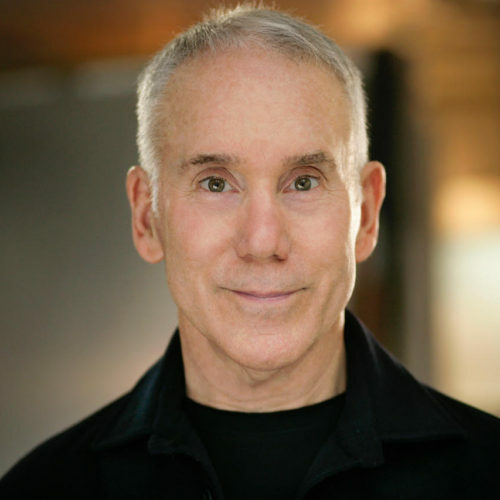 And while I take my work seriously, I don’t take this “Dan Millman” character seriously. Q: When you use the word “ego” here, are you referring to the separate sense of self? DM: What we call “ego” is our conscious self, our sense of identity. As newborn infants, we have no clearly defined boundaries or sense of self. We exist in a dreamlike world where we are also our mother, and everyone else. In growing up we develop this sense of self that ends at the skin. In India, people called “masts” have no sense of separate identity. They just sit there; people have to feed and care for them. In the West we might refer to them as “catatonic,” but in Indian spiritual tradition they are treated as special beings because they have no ego, no sense of a self that needs to do, achieve, or even survive. That’s one kind of “egolessness.” Neither newborn infants nor certain Zen masters have much of an ego. The difference is that in the infant the ego is undeveloped, and in a Zen master the ego is presumably transcended. Motivational speakers and others who help others to develop a sense of confidence-to find out that they can–help the ego get what it thinks it needs to be happy. This approach may be popular and attractive to many people, but in a sense it is a limited practice-at best perhaps a steppingstone along the path. Q: Both in the quest for self-mastery and in the quest for enlightenment, it seems that one almost inevitably encounters many internal obstacles, the foremost of which is probably fear. In fact, you devoted a chapter of your book to this. In the pursuit of self-mastery, it manifests most often as, say, fear of challenge or fear of change. And descriptions of the quest for enlightenment often include an encounter with the existential fear of leaving behind all familiar reference points, of leaping into the unknown. In Everyday Enlightenment you state that while we cannot control fear or make it go away, “we can overcome any fear.” What, in your view, is the key to overcoming fear? DM: Simply put, in the words of Susan Jeffers, “feel the fear and do it anyway” -doing what it is we need to do. It has nothing to do with finding methods to make the fear go away and feel better before we can act. Sometimes fear does diminish over time or with practice. Competence breeds confidence. If I dive off a ten meter tower, I’m going to be afraid the first number of times I try it, but eventually I’ll become accustomed to it, learn how to do it well, safely, consistently -I won’t feel afraid anymore-until I try a new dive which I haven’t yet accomplished. Fear comes and goes and, as does any emotion. We don’t have any direct control over it in the sense of being able to just will it away or banish it. It’s quite natural, even appropriate, to feel fear in many situations. When someone asks, “When should I let fear guide me and listen to it, and when should I ignore it and act anyway?” I offer the following: When the fear is objective-that is fear for our physical safety-when we might die or be injured, we need to listen to the fear, let it be our guide and remind us to prepare well, be patient, stay alert, take precautions or avoid the situation. But if a fear is subjective-fear of embarrassment or shame, looking foolish, being rejected, or fear of the unknown-we need to acknowledge the fear, but act anyway. When someone says, “I can’t do something because I’m too afraid,” they’re usually lying to themselves. For example, I can’t levitate or walk through walls. But if I say, “I can’t speak in public because I’m too afraid,” or “I can’t do this or that because it’s just too hard,” what I’m really saying is, “I choose not to do it because it makes me feel too uncomfortable.” That’s fine; we have free will and can make choices. But let’s not fool ourselves that the fear is somehow stopping us. And when we say, “I’m a phobic-I’ve been diagnosed,” all we’re really saying is, “I’m really uncomfortable.” So we get flu-like symptoms-highly unpleasant, to be sure-our heart may palpitate; we feel nauseous; we get pale; we may hyperventilate; our knees may shake. But we can still do it. We can take a deep, slow breath; we can relax our body; that is in our control. And then we can do what we fear. It may not feel pleasant, but if it’s our goal to do it, we can. Q: In your work, you seem to place a great deal of emphasis on the power of self-discipline, on how conscious, directed action can transform our lives. In Everyday Enlightenment, you at one point even state that “no matter what you might learn in this or any similar book, living effectively comes down to applying your will to control your behavior,” which seems to be a perfect summation of the essence of self-mastery. In traditional enlightenment teachings, there is also an emphasis on the need for self-discipline or self-control, yet in those traditions, that need for self-control is always secondary to and in the service of the ultimate demand for profound surrender, for a complete relinquishing of control in order to allow a force greater than oneself to move one’s life. In the end, which do you feel is more important for the individual who wants to be free: surrender or self-control? DM: I acknowledge the spiritual supremacy of surrender. As I express in my book, The Laws of Spirit, in “The Law of Surrender,” surrendering to life, to God, to this moment, can be the most assertive, creative, intelligent act anyone can do. But when I surrender, how do I know whether I’m surrendering to God or surrendering to my internal impulses? Does surrender have anything to do with doing what I think is best in the moment? If somebody is yelling at me, and my impulse is to not be kind but I’m kind, did I just surrender to God or did I apply my will? Thus, surrender versus applying one’s will remains a paradox. If God is in me, then is not my will also God’s will? This is delicate and shaky ground, for we cannot ultimately know what is for our highest good or learning, or for the highest good for all concerned. Still, free will is a God-given ability, and I believe that it is important that we apply our will-to use our intelligence and our awareness in doing what seems best in each moment. Doing what is best may in a sense also be surrendering to our higher will or a higher will. So do we call it self-control or surrender? When we pray, “Thy will be done,” is Thy will necessarily or always different from my will? Surrender may be an ultimate spiritual practice, but how we apply it is an artful process, I think. In the same way, it is easy to advise people to, “Be kind,” but it takes wisdom to know what kind of behavior constitutes “kindness” in a given situation. Some of us tend to do things like help old ladies across the street without noticing whether they actually wanted to cross. Or if our spouse is upset with us, do we remain calm and smile blissfully and calmly at them? That may not, in reflection, be the kindest thing to do. It may be kinder to yell back if they want to engage you with passion. So surrender, like kindness, is an artful process that requires awareness, patience, and practice. Q: In your chapter, “Reclaim Your Will,” you make an interesting distinction. You state that if we want to change the course of our lives, there are two routes we can take. One, “you can direct your energy and attention towards trying to fix your mind, find your focus, affirm your power, free your emotions and visualize positive outcomes so that you can finally develop the confidence to display the courage, to discover the determination, to make the commitment, to feel sufficiently motivated to do what it is you need to do.” Or, two, “you can just do it.” Now, the first approach appears to be much more popular, yet the second option obviously sounds preferable. What changes within the individual who makes that decision to “just do it”? DM: Most of us learn to “just do it” after exhausting all the other short-cuts and easy ways and psychological tricks and motivational techniques don’t work. After we’ve used up our subliminal tapes, self-hypnosis, affirmations, visualizations, inspirational speakers, encouraging words, positive self-talk, we are left with the existential question, “Will I do it, or not?” We finally confront reality. Ultimately, we don’t have to “reclaim our will” or “find our confidence” or “develop our discipline.” We don’t even have to believe we can do it or say we can do it. We just have to do it. Doing what needs doing doesn’t require any internal state or feeling. You just have to do it. But we have this persistent hope, this stubborn wish, that we will find a shortcut, an easier way. We’d rather work on our insides for a few days or years or lifetimes. But what does life come down to? How do we turn what we know into what we actually do? One reviewer of my book said, “Millman’s much too simplistic. For addicts, he recommends they “just stop” rather than finding a proper treatment program.” In reality, I do recommend treatment programs for some people. But it still comes to this: Whether we do a twelve-step program, join Alcoholics Anonymous, Narcotics Anonymous, or receive the help of friends and family, or just hit bottom, or get frightened enough or inspired enough to finally confront our life, everyone stops addictive behaviors in exactly the same way: They just stop. For some people it takes many intermediate steps. I suggest it saves some time and some pain to finally face that we can control our behavior-how we move our arms and legs-what we do. It can be incredibly difficult at times, but there is a vast difference between difficult and impossible. Even if we don’t feel like doing it-even if we feel terrible, physically or emotionally, for a while, we can stop any way. As far as what brings people to that critical point of realization-just do it-when we’re ready to hear it, we’ll do it. Until then, we will spend endless hours working on the internal solutions whether couched in psychological or New Age mythology. Q: This willingness to “just do it” seems to be an important dimension of self-mastery according to nearly everyone we’ve spoken with for this issue. Do you think the “just do it” approach is also an ingredient of enlightenment? DM: I wonder if the people at Nike realized what a profound slogan they were popularizing. “Just do it” serves as a foundation element in the “practice of enlightenment” as I describe it in Everyday Enlightenment. It involves the recognition that we can, and ultimately must, control our own behavior-but we can also do so under the dominion of our will or a higher will working through us. “Surrendering to God” or surrendering to a higher will is another way of saying, “Bring out the best and the highest within you; connect to the divine power, wisdom, and love inside and let it expand into the world.” So ultimately, “just doing it” and “surrendering to God” may serve the same ends. Both are keys to what I call the “practice of everyday enlightenment,” but “just doing it” is a bit easier to understand and apply. Q: For this issue of our magazine, we also spoke with one of the most prominent exponents of the human potential movement-Michael Murphy, the founder of Esalen-who believes that contemporary advances in our understanding of the workings of the human mind and body, and of how mastery is achieved, should be seen in the context of the evolution of the human race as a whole. He suggests that the pioneering efforts of extraordinary people in many fields reflect the possibility of a transformation over time of our entire species. Do you see your own work in such an evolutionary context? DM: Sure. All things change and evolve. But I don’t see theories of ultimate evolution as relevant today, now, in this moment as we face the challenges of everyday life. Michael Murphy was influenced by Sri Aurobindo, whose teachings very much involve our eventual evolution into super-conscious beings with greater powers and so forth. Anthony Robbins, a popular speaker and author, studied many different personal growth arenas and worked with businesses and sales applying what he calls “neuro-associative conditioning,” another name for the NLP [Neuro-Linguistic Programming] approaches which are part of his lineage. There is a proverb that reminds us, “One Light, but many lamps.” Each of us-Michael Murphy, Anthony Robbins, myself, and many other teachers, serve as lamps for different people. This seems positive, because different people need different approaches to life. That’s why we have more than one book in the library; we may enjoy different radio stations as we may prefer different teachers or teachings based upon our present values and needs-and yes, perhaps on our own current level of spiritual evolution. Those who tune in to Michael’s station are a little more interested than I am in powers, or siddhis [supernormal abilities], in sports and in other realms. With that brief tangential commentary, let me return to the topic you proposed: We humans may indeed evolve abilities of various kinds, which would be interesting. Personally, I’d enjoy the ability to levitate, but until that time I have to make do with occasional levity. I’d also like to be able to bi-locate (be in two places at once); any parent with a couple of kids can appreciate that ability. But all that has very little to do with enlightenment. Unusual powers, kundalini manifestations, kriyas [inspired trembling and spontaneous yoga postures and mudras or positions of the hands and body], and psychic abilities may represent a kind of psychophysical breakthrough or purification, but many wise and great masters didn’t manifest such things. I don’t think super-powers are requisites of enlightenment. I was a gymnast and I exhibited certain “powers,” and did feats that other people couldn’t do. Others seemed impressed by my abilities. But they didn’t have anything to do with kindness, happiness, or love. They didn’t make me more enlightened. There were just functional skills. If humans can learn to throw footballs twice as far or jump higher or run faster-if our brains get more powerful or we even learn to move things with our minds-I think that’s all functionally very nice. Maybe new powers would even help us to create a more enlightened society. Maybe. But I don’t personally equate powers with, or regard them as precursors to, realizing the punch line to God’s cosmic joke. In Way of the Peaceful Warrior, my old mentor Socrates once said, “Your challenge is not to be extraordinary; it is to be ordinary.” When author Aldous Huxley, a man who had studied many spiritual traditions and teachings, was near death, one of his students asked, After all this time, all of your studies and research and practice, what have you learned?” Huxley replied, “I’m a little embarrassed to say that I can summarize it all with the words, ‘Try to be a little kinder. '” Maybe kindness is the greatest power of all. Q: What do you see as the highest expression of human potential? DM: Our human potential involves everything we’ve been talking about-awareness, kindness, humor, realizing our transcendental unity with God and with one another-and not just realizing it but living it. We tend to realize things long before we live them. We’ve all had realizations and understandings and insights but it can take ten years to bring even a simple insight into our life. So living our truth, doing it, not just realizing it, I would say, would be our highest potential. Q: Are you still striving for enlightenment? DM: No. At some point in time, I surrendered that, too. I don’t know when it happened, but I became more interested in bringing smiles to other people’s faces than to my own. I remember my heart now and then, and do what I do. I’m okay with the present moment. I mean that quite sincerely.